Libraries are inclusive environments for all ages and have been recognized as a key component in supporting the health and wellbeing for communities through the access to a multitude of resources. Historically thought of as the building that only housed books, libraries have become much more! They are a place where the most frequently asked questions can be answered. Offering valuable opportunities and programming, a heating and/or cooling station, access to internet, providing connections to community services and let’s not forget, they still lend out books too! The library is an all encompassing health environment consistent with the BeWell messaging where children and families have the ability to flourish and grow. Are you bored of your bedtime story books? Visit the library to sign up for a library card and take out all kinds of new books for story time before bed! Check out the latest teen hit series and dive in to find your love of reading. One of the best strategies to get children to bed on time is to make a bedtime routine. Pick up your child’s favourite books from the library and incorporate story time into your routine as a relaxing and sleep promoting activity. Consider checking out resourceful books on sleep hygiene and the benefits to living a healthier lifestyle. Provide an area in the children’s section that houses the best bedtime stories. Encourage families to think about choosing a few different books to read for story time before bed! Make sleep a part of your everyday routine! Watch videos about why sleep is important and discover other useful resources to help achieve more restful shut eye! Check out the libraries to learn about how fruits and vegetables can help you grow! Join a “Ready, Set, Read” program where adults help children read or a “Homework Help” for teens where qualified tutors offer homework support. The Learning Garden initiative is where teens learn how to plant, harvest, and weed a vegetable garden. You get to keep what you grow and remaining vegetables are given out to the community. A helpful way to give nutritious food to those around you! Discover through the library website the different programs offered for children and families to learn about healthy eating. Encourage your children to partake in the themed parties, events, and the occasional free meal night! Parents can also visit the seed library to collect seeds and grow food with their families at home! During the after school and homework clubs children need to refuel after a long day of learning. Consider serving different fruits and vegetables! During themed parties be sure to offer healthy options. Promote the youth garden and kitchen cupboards programs! Choose to boost veggies and fruit! Learn why vegetables and fruit are the best to fuel your body. Watch videos and discover interactive apps to colour up your life! Computers are not only for playing games. Have you ever considered enjoying a book a new way? Try reading an eBook on your computer or iPad! Participate in the different programs offered at the library to be active and learn new things. Visit the library as a family and read with your children to keep them from spending all of their time on the computer, or launchpad. Choose a book series to read as a family to keep everyone engaged! Encourage children and youth to split up their computer time at the library by providing “Active Break” messaging on screen savers. Enjoy some of the clubs, events, and even the books! Ask individuals for their input and feedback for new programs that they may like to participate. Take a break, turn it off. Unplug and play! Learn how screen time can affect your health and try new ways to set healthy screen time limits. Be sure not to stay too long! Try out an active way to read a book! Discover the Storywalk along the Collingwood Train Trail and make reading more interactive and fun! Have you ever heard of geocaching? If not ask the librarian to find out more about it! Sign out a Healthy Kids Community Challenge Kit to increase your health literacy! Walk or wheel with your children, family and friends to your nearest library. Enjoy the sunshine and outdoors before a relaxing morning or afternoon at story time or a book club! Stay up to date with the different active and fun programs offered for children and youth including Scavenger Hunts, Spy School, or the Gardening Club. Try signing out a Healthy Kids Community Challenge Kit at your local library to increase your health literacy and get fun activities to partake in with your family! If you don’t have a physical literacy kit that individuals or families can sign out considering getting one to help increase the activity of children, youth and families! This can help to provide individuals with the skills necessary for lifelong physical activity participation! Run • Jump • Play • Everyday • Watch cool videos to learn about new activities and sports you can enjoy with friends. Start a family competition and have everyone track their steps with one of the suggested apps! Check out the water bottle refill station! See how many plastic water bottles you can help and save! Encourage your child, family and friends to quench their thirst with water before juice or pop. It is free and easily accessible from the water bottle refill station! Remind children, youth, adults and families that there is a water bottle refill station in the Collingwood Library. It is located right outside of the children’s book section. Water does wonders! Why is water the best choice for thirst? You are what you drink! Click here to find out why to fuel your body with water. By joining the different clubs and activities you may make new friends! Not only does the library house books but the building and resources provided can help you achieve your most basic needs. Participate in Baby & Me, Story time or Toddlers Tales to connect with other parents and develop supportive social relationships. Enroll your children or youth in different library programs and visit the adult section of the library to relax and support your own mental health. Offer a specific program or have more quiet spaces to reduce the potential busy and loud atmospheres and provide individuals with resources that can positively influence their mental health. 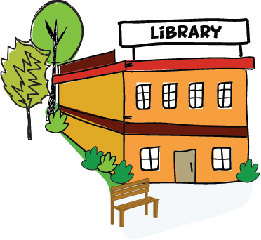 Be conscious of the different values of the library as a whole to all community members. There is no health without mental health. Mental health matters. Click to learn where you can talk to someone and the importance of connecting with family and friends, as well as your doctor or counsellor. Enroll in programs with your parents at the library that allot quality family time. Enjoy separate time looking in the children or teen sections and choose an interesting and fun story to share with your parents! Visit your local library to discover a multitude of resources that will provide you with tips and strategies to become a successful and positive parent. Not only may you be introduced to positive discipline tools, but also learn how to manage your own health while raising children. Consider hosting guest speakers to discuss new revolutionary strategies to become a master in positive parenting. Education is power! Include a wide range of health topics to support parents with various aspects that will help lead their child or children down a pathway to success. Life with kids is messy and that is ok! Fill your parenting tool box with humor, tips and more! Approach the librarian with any questions or concerns. They may be able to provide you with adequate resources or community connections, and introduce you to age-appropriate library programming that can address your basic needs. The library is a source of shelter, warm and cool air during the winter and summer months, houses free water, and no-cost entertainment! Allocate resources in order to provide appropriate and interesting programs for different population groups within the community. Be patient and sensitive to all members visiting the library as it is often not only used for access to books, but as a building with resources to supply essential needs. Your income can affect your health. Learn about South Georgian Bay’s many resources and tools to help you meet your most basic needs. Health Happens Everywhere, Every Day in South Georgian Bay. The Be Well Community Collective embodies collaboration, partnerships and improving health and happiness.